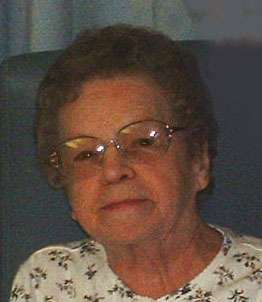 Obituary for Florence Beatrice Theresa (Gill) Saxe | Jennings Calvey Funeral and Cremation Services, Inc.
Florence Beatrice Theresa (Gill) Saxe, 96, formerly of Clarks Summit, died Sunday at St. Mary's Villa Nursing Home. She was the wife of Gervin Saxe, who died in 2004. The couple was married for more than 50 years. Born Sept. 13, 1922, in West Scranton, daughter of the late John and Florence (Owens) Gill, she graduated from Scranton Technical School and worked as a sewing operator for Smart Styles. Surviving are two daughters, Florence Lyman, Cartersville, Ga.; and Carolann Kivlin, Moscow; brother, James E. Gill, Justus; a sister, Virginia Mecca, Thornhurst; several grandchildren, nieces and nephews. She was also preceded in death by her son, Gomer Edwards; son-in-law, Jerry Kivlin; daughter-in-law, Loretta Edwards; sisters, Eleanor Gill, Margaret Lovgren, Elizabeth Luchansky, Jeanette Rudd, Joan Siedlecki, Rose Marie Smith; and brothers, John T. Gill and George Gill. The funeral service will be Saturday at 11 a.m. from Jennings-Calvey Funeral and Cremation Services Inc., 111 Colburn Ave., Clarks Summit, with services by Pastor Charles Consagra. Interment: Abington Hills Cemetery, South Abington Twp. The family will receive relatives and friends Saturday from 9 to 10:45 at the funeral home. Memorial contributions may be made to People for the Ethical Treatment of Animals, www.peta.org.